Waiting List Popup | Conscious Copy & Co.
Get your copy of the Perfect Welcome Email Swipe File™ today. Hey Friend, I’m Jennifer. 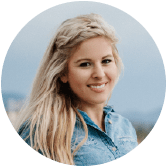 Founder of Conscious Copy & Co.
I’m a direct response marketer and copywriter who helps the top information marketers and influencers in the world. I’ve created a process that helps coaches, experts, and thought leaders build out their strategy and craft results-driven copy that converts cold leads into paying customers. Stick with me and you’ll learn how to amplify your message out into the world, create compelling copy for your offers, and have a bigger impact.